The 2017 International BLADE Show American Made Knife of the Year! 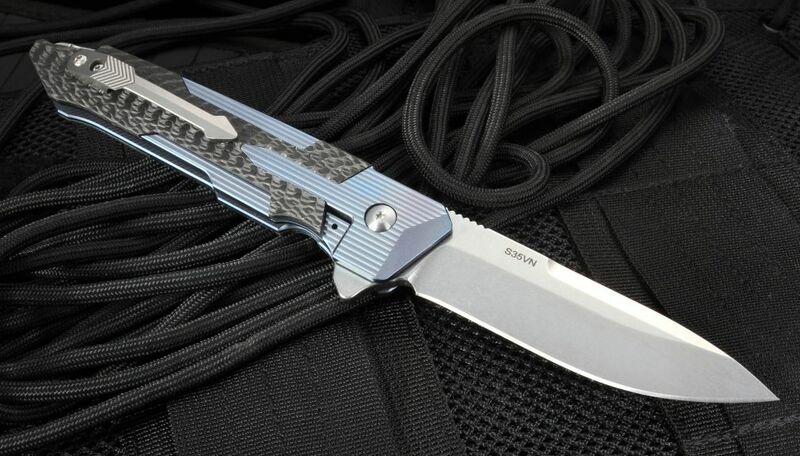 The Spartan Blades Kranos is a full-size tactical flipper folding knife that provides the user with a high-quality elite EDC knife that serves you well as a take anywhere folder with style. 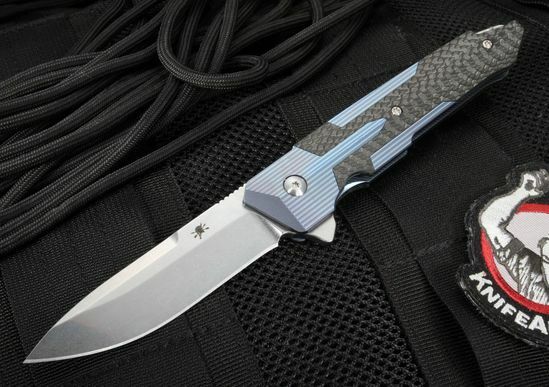 The Kranos is American-made and features the workmanship of Spartan Blades - a team of former Special Forces NCOs. The blade on the Kranos is 3 3/8" of stonewashed American-made S35VN Steel with a spearpoint blade geometry that is perfect for the most cutting tasks that will be required. Super sharp and tough flat grinds on the fine stone washed blade. The thumb rest of the blade spine has jimping and contour for increased handling and grip. The Kranos blade opens fast and easy with a flipper that also serves the user as a guard in the open position. Flipper opens easily with the right or left hand. GTC bearing pivot for fast smooth opening and closing when you need it. The frame on the Kranos folding knife is blue anodized titanium out of a high aerospace grade 6AL-4V ti alloy. The Spartan pocket knife features a robust frame lock mechanism with an integral carbon fiber lockbar stabilizer. The Kranos knife has a fully machined titanium pocket clip for secure carry in the blade tip up position. Titanium spacer has an integral lanyard hole.